Johnson Rose 6172 Flat Beater 30 Qt. 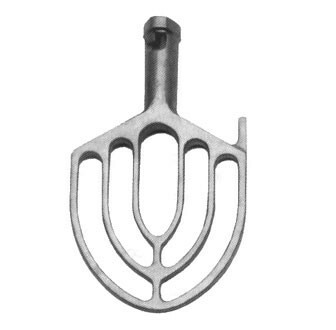 TigerChef > Food Preparation > Commercial Mixers >< Mixer Accessories > Johnson Rose 6172 Flat Beater 30 Qt. $209.66 Vollrath 40772 Flat Beater for 40758 Commercial Floor Mixer 30 Qt. $244.97 Vollrath 40771 Dough Hook for 40758 Commercial Floor Mixer 30 Qt. $276.43 Vollrath 40770 Wire Whisk for 40758 Commercial Floor Mixer 30 Qt. $240.47 Omcan (FMA) 14247 Stainless Steel Mixer Bowl 30 Qt.